HOUSEY’S RAPIDS — Firefighters rescued a woman from house fire Saturday afternoon in northeast Gravenhurst. @GravenhurstFIRE first reported the house fire at 4:37 p.m.
“Units from Stations 1, 2 and 3 responding to Houseys Rapids Road for a structure fire. Initial units on scene reporting smoke showing from a two storey dwelling. 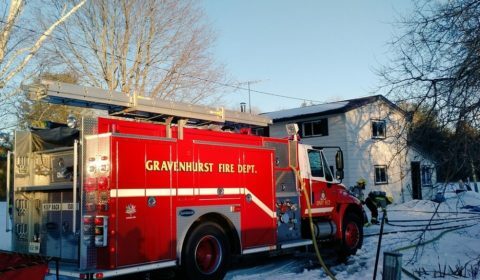 Gravenhurst Fire Department crews responded to a structure fire about 4:30 p.m. Saturday, Feb. 9.